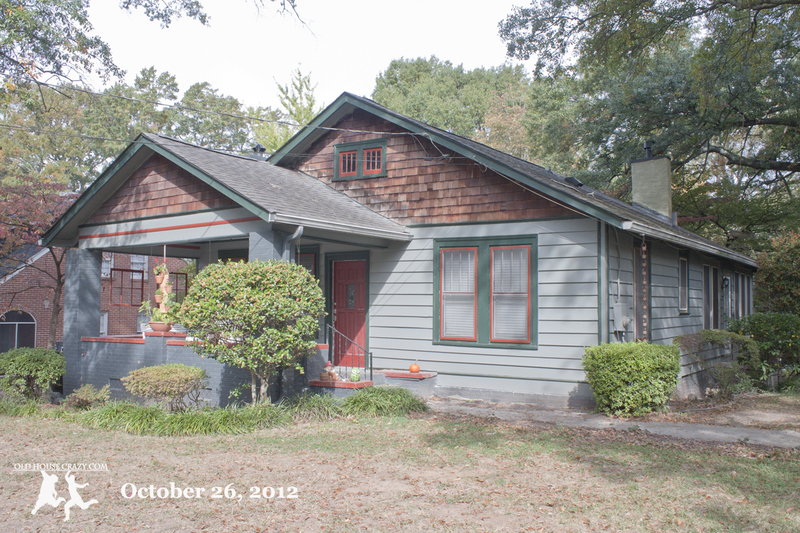 We purchased our 1922 Arts and Crafts Bungalow in January of 2009. 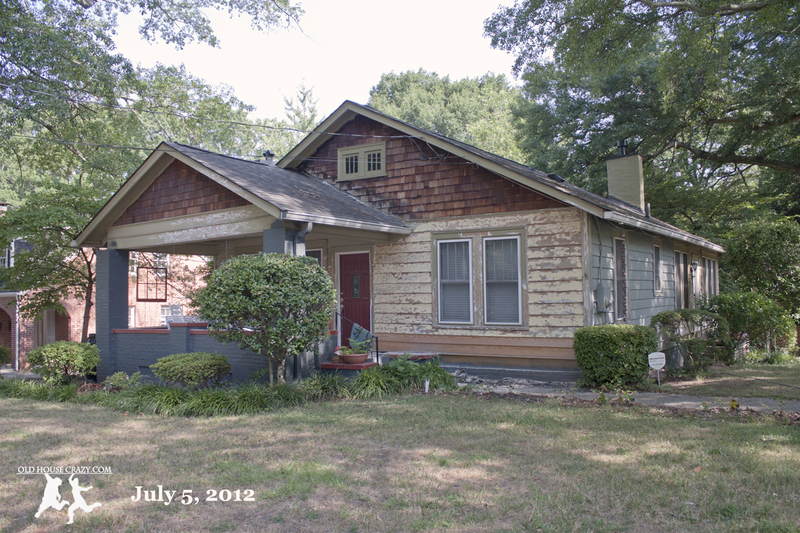 Since then, we’ve done quite a bit of work on both the interior and exterior of the house. We’re trying to make it our own little home, bit by bit. We think it’s coming along nicely. 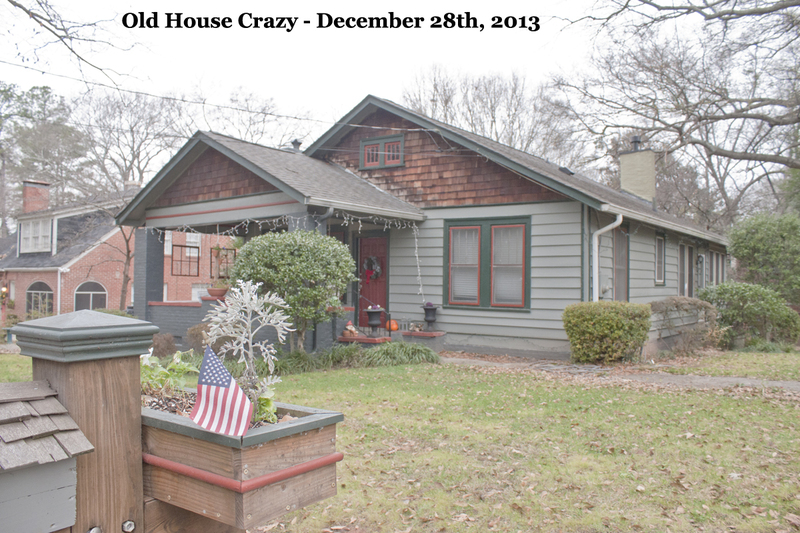 The first photo below is of our home in its most recent form. If you look through the photos on this page, you’ll notice that this is the most grass we’ve ever had during this time of year. It’s been a battle, but I think we might be on our way to an actual lawn next year. The other major change is the new gutter downspout on the front right corner. We had a rain chain there, but were having trouble getting the water from the chain to the back of the house without it first travelling under the house. I installed a drainage pipe that runs from this gutter down spout all the way to the back of the house and our crawlspace is DRY. Hoorah! I also never seem to have the idea of updating this page when it’s sunny outside. Always overcast. Wah Wah. . . The next photo is over a year old. 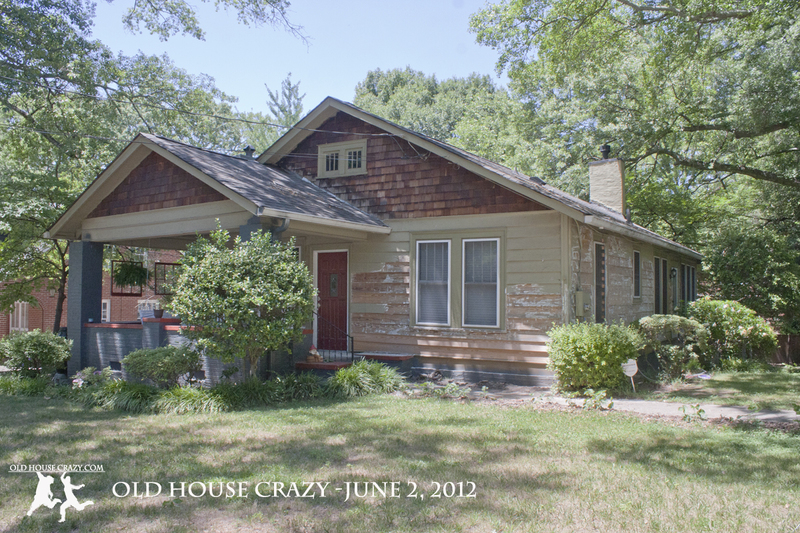 You can see that we’ve finished painting the exterior and have restored the windows on the front side of the house. We’ve also built some nice clay pot hangers for the front porch and have our pumpkin out for Halloween. We’re going to build a flower planter to go under the window bank on the right as one of our next projects. The next photo is from this past summer. You can see that we’d finished scraping the paint off the front wall and applied wood putty to fill in the imperfections. The right side had been partially painted, but still needed some work. The heat wave of late June killed most of our grass because we don’t want to have a thousand dollar water bill, aka we don’t water it. Below, we were still scraping paint from the front. Here’s a photo taken in December of 2011. We hadn’t yet painted the porch in December. 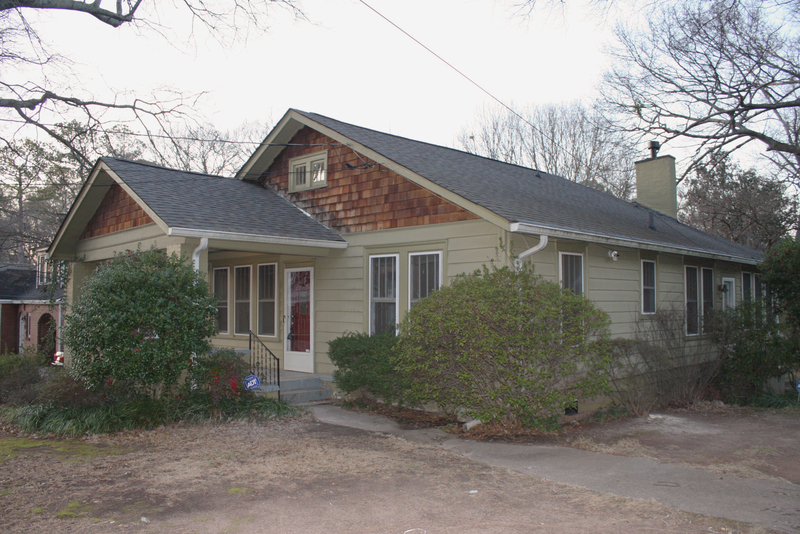 The last photo is of our home when we purchased it in January of 2009. We’ve come a long way. Yes, Laniel. We’re painting the grass. How does purple sound to you? 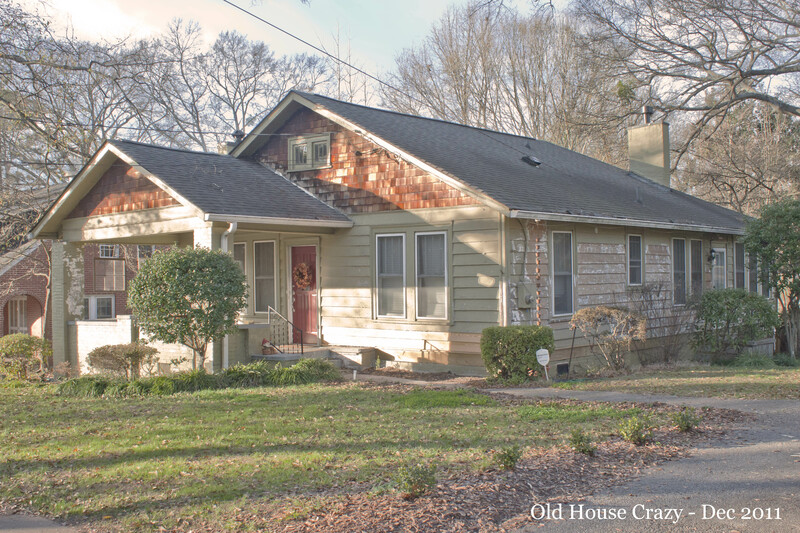 What did you put on the shingles? I stained mine. Yours look nice! We haven’t done anything to the shingles yet. They were already on the house, and faded, when we got it.